Moruba has created the branding and packaging for Matsu, an organic winery from the Toro D.O. Matsu is a modern a project for sustainable viticulture that brings together a unique collection of high expression wines. The solution adopted is faithful to Matsu's philosophy, his image has been stripped from all sorts of tricks to link directly with nature and with the people who cares about it. 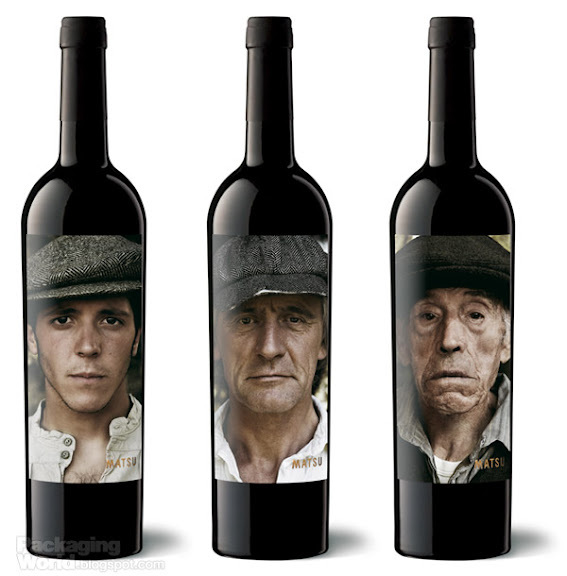 Thus, the Matsu's wine triology, ‘El Pícaro’, ‘El Recio’ and ‘El Viejo’ are represented by a portraits series of three generations that devote their lives to the field. Each one personality's embodies the characteristics of the wine that gets its name. The renowned photographers, Bèla Adler and Salvador Fresneda, have been chosen by Moruba for the portraits realisation that brings life to the characters of Matsu.